Bridgend College presents... An exciting piece of new writing performed by the Gap Year Actors and written by emerging Cardiff playwright Rhiannon Boyle. 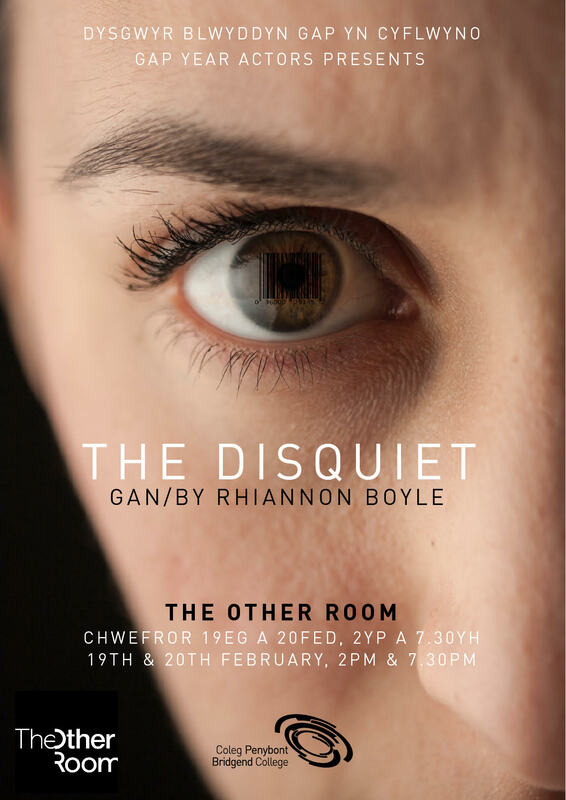 The Disquiet, a dystopian play which explores human rights, violation of privacy, parental love, teenage woes and chips. This controversial think piece is sure to mess with your moral compass leaving you wondering what twisted truths our future could really hold.